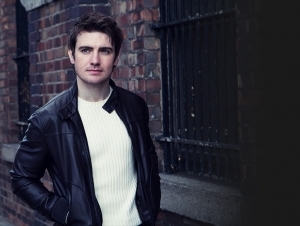 Join us Sunday, May 7 for Celtic Thunder’s own Emmet Cahill. Celtic Thunder lead singer and Ireland’s most exciting young tenor Emmet Cahill is returning to the KC Irish Center he embarks on his nationwide spring 2017 US tour. Emmet is launching his debut Irish orchestral album, having recently been signed on a major recording deal with Sony Music USA. This will be an unforgettable concert of Irish songs and stories, and an exclusive opportunity to hear the music from Emmet’s debut solo album. Be sure not to miss an unforgettable evening of songs and tales from the emerald isle that will no doubt bring back many happy memories, and create moments to cherish.